"Intemptesta Nox" is Latin meaning "Dead Of Night". And in Japanese, it is "Oumaga Toki (逢魔時)". It is the time when various ghosts and supernatural creatures appear. The society forbade that children went out in that time." JINMO lives in the highest floor of the building with the Ginza Tokyo. All windows are plugged up and shaded completely. The sun light doesn't enter completely just like a basement. He is unrelated to the time in the outer world. Only some red spotlights are illuminating the space. It is the world where time stopped at "Intemptesta Nox". 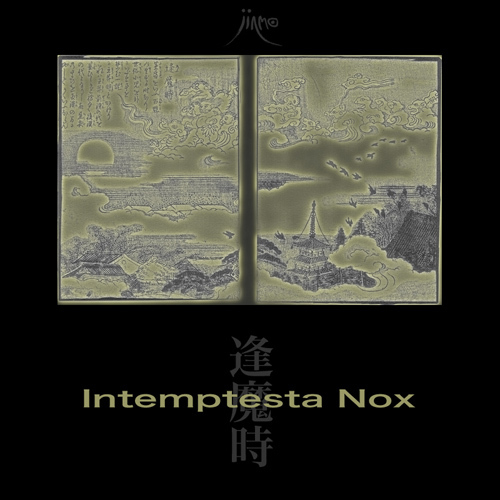 This album is the sound of gentle "Intemptesta Nox"
which consists of four movements from JINMO as the man lives in "Intemptesta Nox". The orchestration constituted intricately and precisely calmly gently. and Hades to be each other interwoven with. please listen this album at the Intemptesta Nox. and meet the beloved person.